Call me Piper or Bitty. 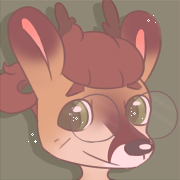 I'm a digital artist who mostly draws animal and anthro art. You are the most kind person I know, and you're always there to help me through anything. I love you so much. NamelessFeline has started a donation pool! Please do not thank me for llamas! If you want to thank me, give a llama in return! I wont thank you for the Llama Badge. But can I give you a Hug?